Money, money everywhere and now a custom place to hold it. Create your very own travel wallet or coin purse with our easy designer! Four different versions for men or women, including one with a zipper for easy toting as you go, and an elegant, longer version that clasps. Made of either microfiber or leather (depending on which model you choose), these travel-where-you-do necessary accessories always hold on to your money in style. Design your own purse, make your own wallet for men, or personalize a mini wallet. You'll find different sizes for different functions (from pocket-sized to purse-sized, and zipper to folding), so you may want to design more than one. Bulk order discounts, and No set up fees, no minimum order requirements. It's not quite as nice as making your own currency but it's close—and just like a high roller, you'll get lots of interested looks whenever you flash this baby about. Keep your clients at your fingertips with personalized business card holders. Store important business cards in a custom business card holder with your own text, images, or monogram! 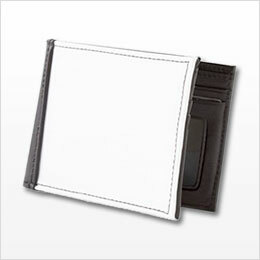 Design a personalized business card case at CafePress today!